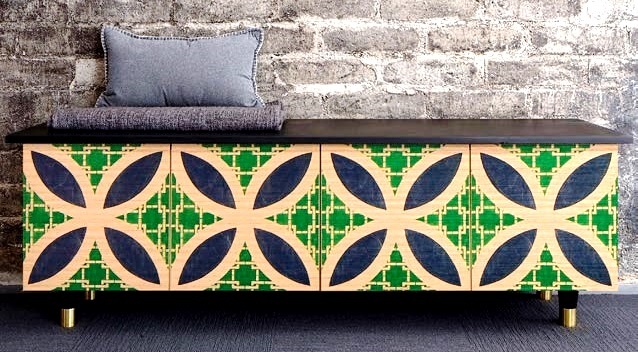 Aug. 24 9:00 - 10:30 a.m.
ATLANTA -Wood products manufacturers large and small are adopting inkjet printing at a steady clip, and for a variety of applications, including custom furniture and cabinetry, decor papers, decorative laminates, and retail displays. High definition inkjet printing direction on pre-coated engineered panel convincingly simulates fine wood grain on engineered panel, or can match decorative patterns from wall paper or other designs. Interprint and Schattdecor, to name just two examples, have been producing decor papers using digital printing systems for several years. 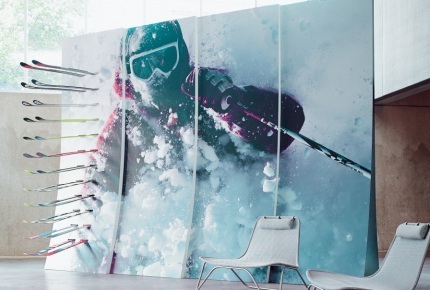 Interprint, whose decor papers and films are widely used in laminate panel and moulding production, inaugurated a high-speed, wide format inkjet system, the KBA RotaJET VL, for digitally printed decorative panels last summer. Formica and Wilsonart (IWF Booth 2324), among other firms, convert these papers to laminates, as well as printing their own original digital prints on devices at their manufacturing centers. 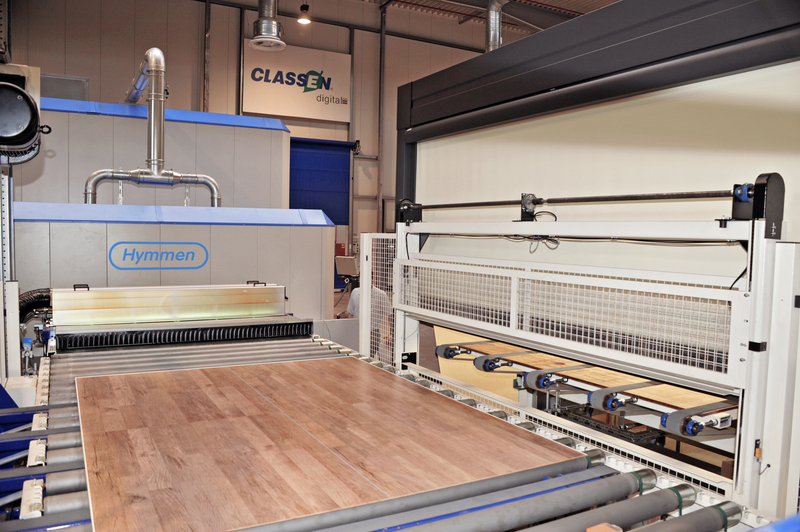 Formica calls its digitally printed laminate service "Envision." Wilsonart maintains a massive Virtual Design Library of digital patterns,with categories including woodgrains, geometrics, and retro designs for printing conventionally or digitally. It also offers WilsonartXyou, for one-off original laminates from artwork provided by clients. Wide-format HP printers along with other digital technologies are employed by the firm in its Temple, Texas laminate factory. 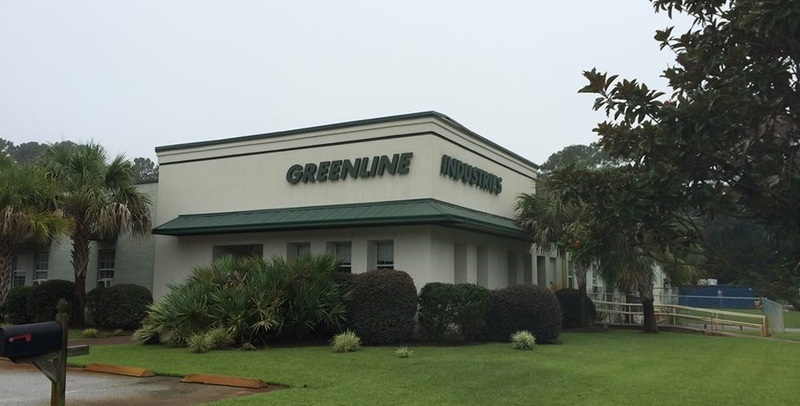 In another approach and scale, Greenline Forest Products offers an Impressions line of digitally enhanced natural veneers, which includes "Infused Real Wood Veneers" using digital printing and UV curing technology. "This line can configure any real wood veneer with Pantone Colors of your choice," is how Greenline describes it. "This process allows you to create spaces and is an excellent choice for store fixtures, point of purchase displays, and cabinet faces." 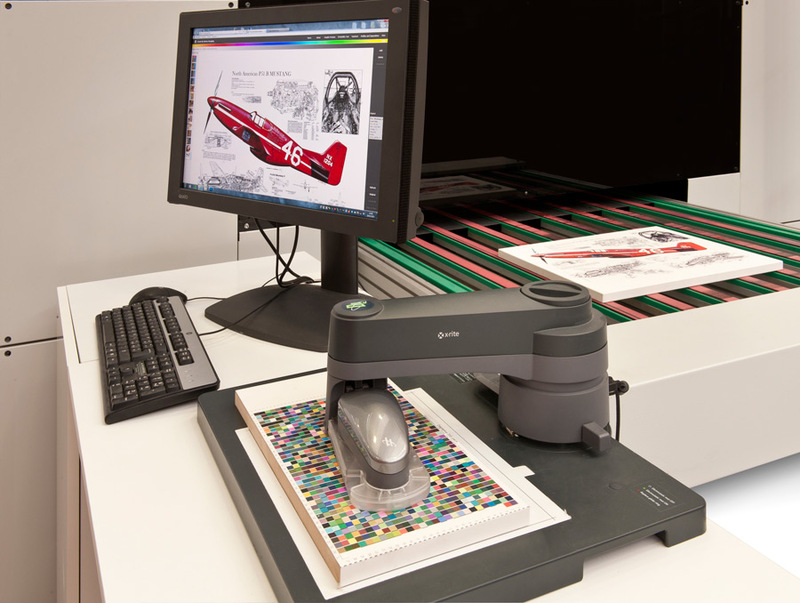 The Beaufort, South Carolina firm prints bookmatch, colors, and simulations of decorative inlays among many other creative techniques using digital printing. Also producing store fixtures with digital printing is Marketcraft in Portland, Oregon, which has been a leader in the field in applications for digital point-of-purchase displays, converting particleboard to veneered oak, with the high definition grain pattern printed on an Anderson inkjet platform. Custom Cupboards has launched its Facets line of digitally personalized kitchen cabinetry. And Semihandmade, a Duarte, California cabinetmakers, just announced its line of digitally printed cabinetry at ICFF 2016 , the New York furnishings show opening May 14. 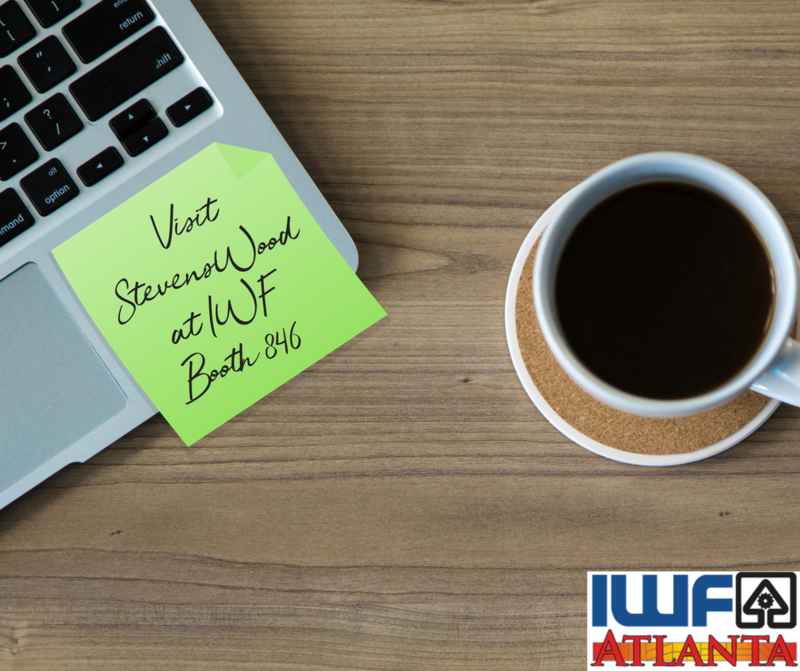 Enabling technology for digital printing on wood products will be on display, with IWF planning a pavilion as interest develops. 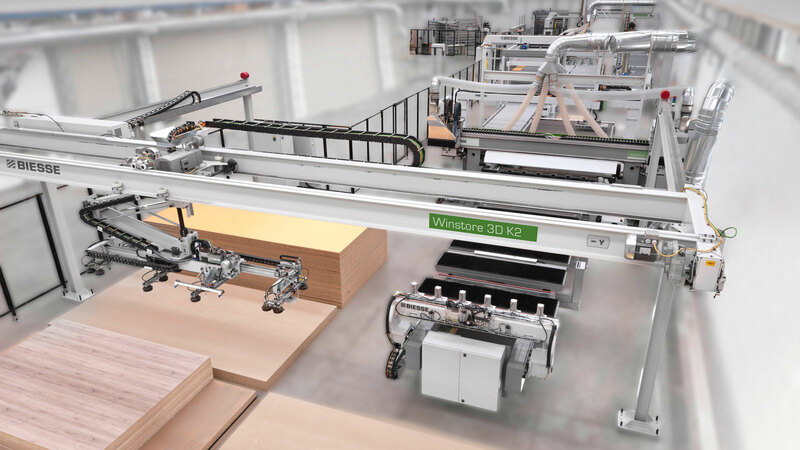 Examples of technology companies offering digital print systems with applications for printing on wood and laminates include Barberan (Booth 7283), Cefla (Booth 7553), Dieffenbacher (Booth 2400), Hymmen (Booth 2810) Mimaki 8091, Stiles Machinery (Booth 5025 Durst). 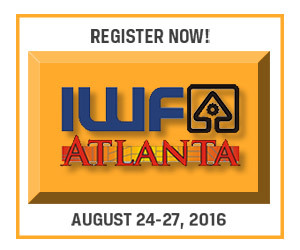 At IWF August 24, subject expert Ron Gilboa, Director, Functional & Industrial Printing Service at Boston-based InfoTrends Research, will present two seminars on digital inket printing on wood. 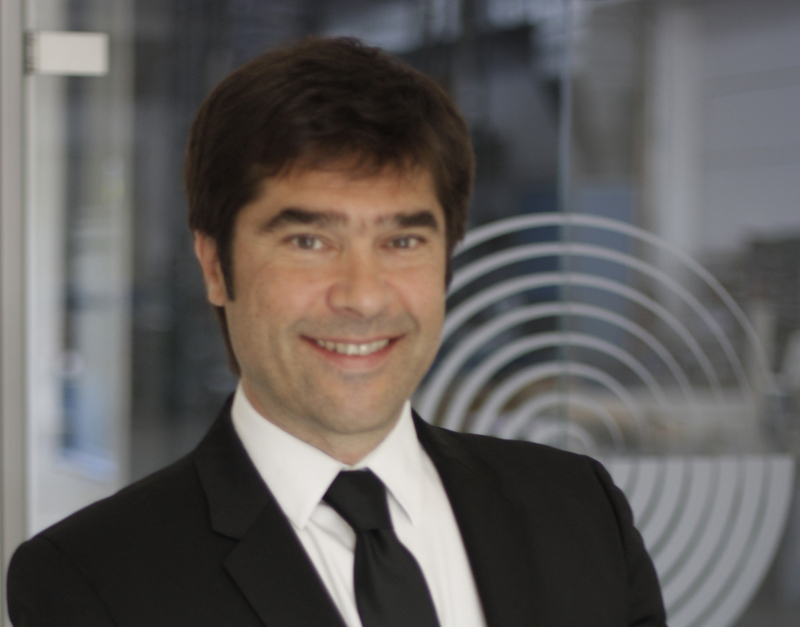 Inkjet & Your Business: a Primer for Inkjet Printing Technology will examine workflow, and applications for inkjet printing, including pretreatment of wood material substrates, printing, and finishing - as well as environmental impact. This will be followed by an afternoon session on Digitally Printed Surfaces: Real Samples.